*Please Note! 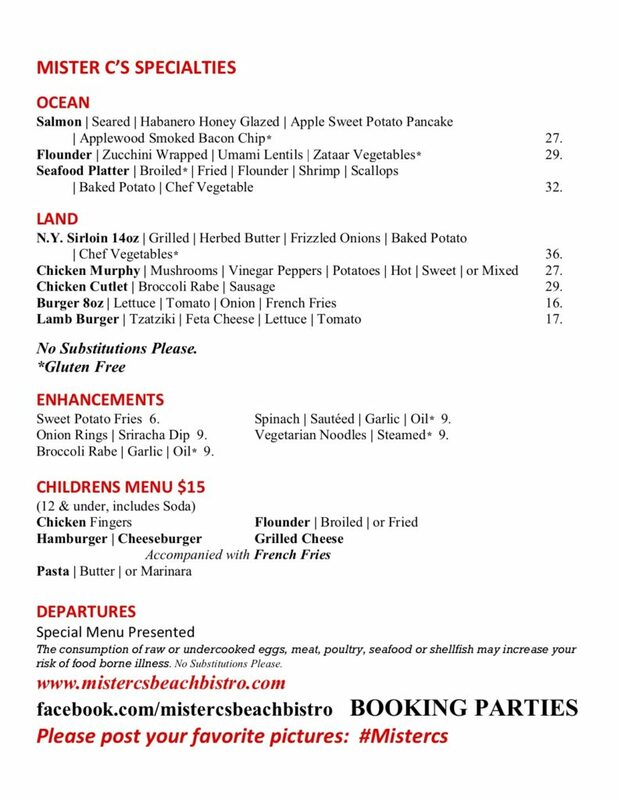 Our menu is subject to change. We are a seasonal, freshly prepared restaurant and our menu will change with changing supplies of fresh food. 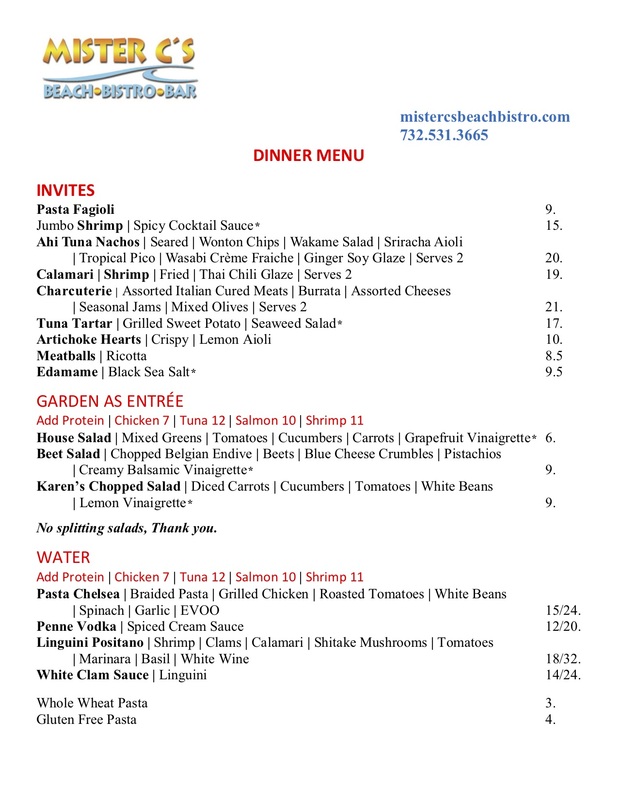 Host Your Next Party at Mister C’s!